This award was shared to me by Cecile. She is a very loving person and takes pride of her family. Thank you for the friendship Cecile. You are like Queen Marie Antoinette, the Queen of France and Navarre, a very courageous, fun and a fearless woman who never been afraid of life's obstacles. Thanks a lot my friend. Now I am tagging Anninniput and Madz. Go get it girl. 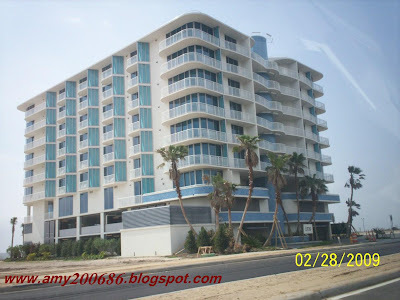 These are some of the newly constructed building in Biloxi waiting for people to rent. The view is super great. If you love the beach. This is it. Oh, if you wanna go to Ukraine, check out this site for apartments ukraine. 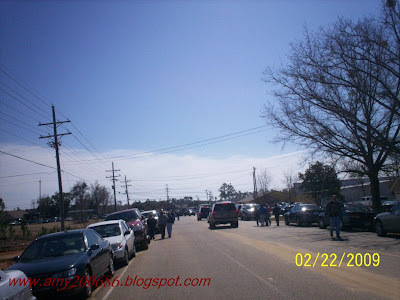 Exactly 3 years and a half today, Hurricane Katrina damage severely most of the places in Biloxi and other neighboring places of Mississippi. 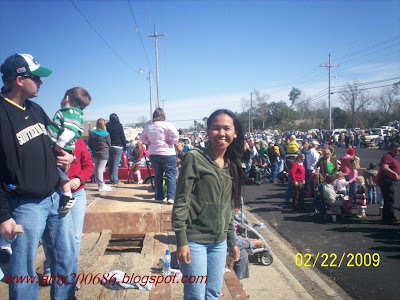 I was in the Philippines at that time, it is the fiesta of Cagayan de Oro City but my eyes glued on TV watching how Louisiana residents trapped inside their own city. 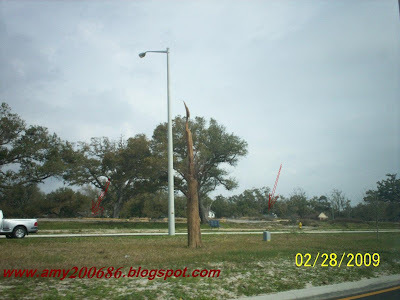 Houses vanished and many lives were lost. Reports were focused mostly on that state for they suffered too much that no one ever imagined Katrina would really caused huge damage. 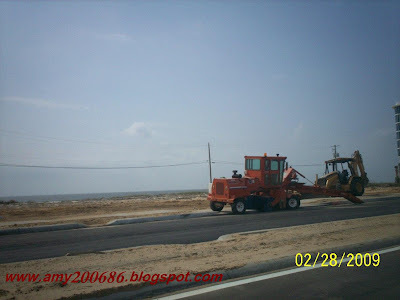 Anyway, in Biloxi as of today, the casino and hotels eventually making its way to regain the business and it is showing progress. But, this place changed so much because you still can see the remnants of the building and houses that once stood in its beautiful place such as these pictures: I put a light arrow pointing to the flooring of the houses. Click the picture to see it clearly. Every vacant spaces that you see in here are all houses before, they are gone and afraid to rebuilt it back. Until now, they are still cleaning the area for some debris. 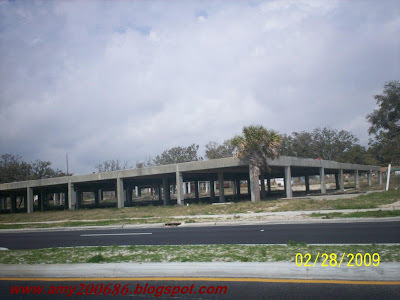 Before the hurricane, there were hotels and buildings on those vacant lots. 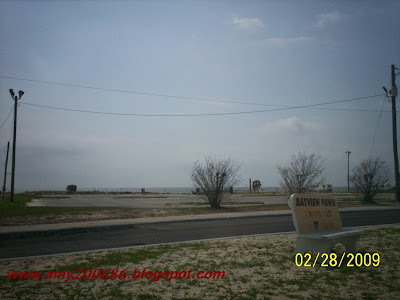 This is the old area of the big hotel called Treasure Bay Casino and Hotel, washed out to the sea, you can see all the flooring again. 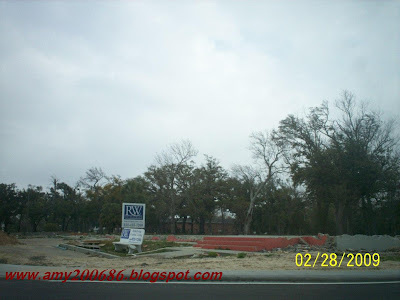 But, they soon build the hotel adjacent to this area. A big building, but you can only see what's left, the stairs and the land is being sold right now. This area is fronting the beach. 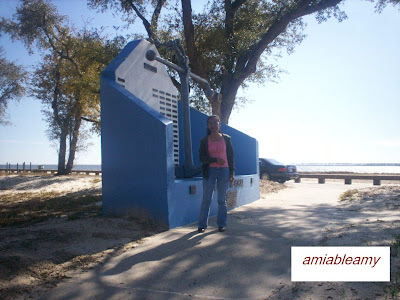 This is what remain in the Marina of Biloxi. This was built as a fancy Marina with huge rooftop and many big boats and fancy yachts dock in this place. The place today is a pile of gravel. This is not an unfinished construction. 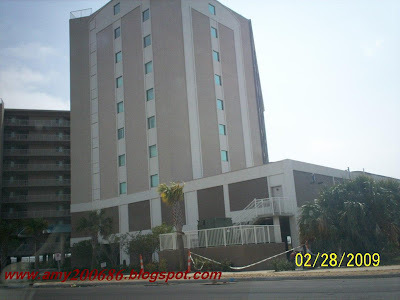 One of the many buildings that was badly damaged. Only this part were left. The picture at the top is the same building. Just want to share with you guys how sad the history of this area yet, it managed to move on and back to the normal place it was once before. The place is really beautiful though despite of these sight. Looking for a unique, elegant wallpaper? BurkeDecor.com is the pre-eminent source and one of the few places where you can find a good quality and stylish wall paper. BurkeDecor.com is also the source for modern home decor and beautiful gift items. This store sells unique home accents including wallpaper, pillows, candles, eco-modern furniture, decorative trays, books, rugs, lighting and many more. They offer free shipping on all orders over $50 and are shipped to the 48 contiguous states but, they also ship to all International destinations at cost.Visit this online boutique shop today for they have complete displays of decorative home products, gifts, furniture and other delights to make your living more enjoyable. With a variety of offerings, from the most unique to the most functional of home furnishings and luxury pieces for any living space. Make this site be the source for adding a taste of your personal style. Choose among the best Designer Wallpaper available in this store. Check them out today. 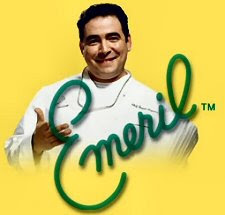 He is Emeril, one of my favorite chefs . I always watch his Emeril Live Show even when I was in the Philippines. I am so entertained by his humor while he cooks. If you don't know him, check him out in Fine Living Network everyday at 7PM ET. When you watch the show...BAM! BAM! BAM! is a popular word he uses and the audience would just laugh heartedly with his actions and humor. 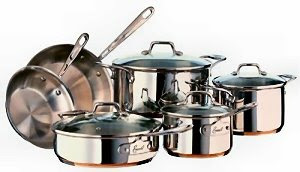 Today, a woman was featured in the news because her life was just saved by a burglary when she fights back using the pan, it happen to be an Emeril product...LOL! Just like Emeril says, the woman just used the pan and "BAM!BAM!BAM! hitting the burglars and they took off running...hahahaha. One of them was caught and the rest are said to be juvenile. The famous "pan" was taken by the police as evidence and so, the woman lost the pan...hahaha. Oppsss! Not really! Emeril, made mention in the show that he will send her a new one. Good stories like this tickles us a bit right? I love to read all the posts posted by my blogger friends. In fact, most of the time I left some comments just to inspire them or just admire their write up. I did it to make it known to them how personally touch I was with their thoughts of the day. 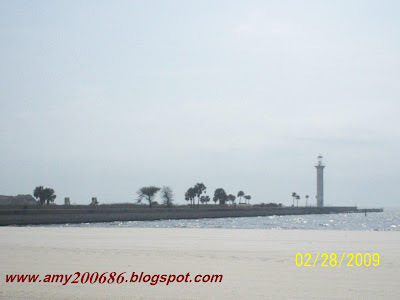 Now, if you are like me and loves to leave comments I want you to check out TheBloggersGuide.com. This is a network of the world's finest city bloggers and they are running the World Blogging Challenge which is sponsored by Hotels.com just to find the best! This challenge is fun, exciting and unique because they will give real prizes rather than bragging rights for the bloggers. 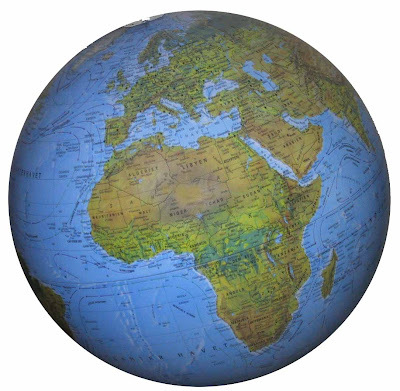 This website is also an excellent source of travel info for the readers. How to join? Simply visit the site, register and give comments and by doing so, there are spot prizes for the those who are top commenter. Well, I know a lot of bloggers who are really top in the list. If you are one of them, why not check out this site and join the travel blogging competition. What I did today? 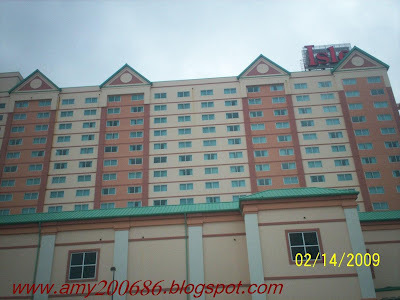 Since I was so tired yesterday, I treat myself, hubby and his cousin to The Isle Hotel and Casino just for a breakfast. The food is not so great though, but, I still love the lunch buffet. Anyway, after the breakfast, my hubby like to gamble only $3 hahaha. So, we went in. The supervisor who always stand at the entrance greeted us but, he don't ask my age anymore. Maybe, my look today qualified for over 21 years old...hahaha. While my hubby played his bet, I saw a $0.29 ticket on the machine. The player left the ticket there thinking, it is useless. I took it for a souvenir. My sis-in-law said, some player really leave those ticket or throw specially that it is less than a dollar! So, as I tour around the casino vicinity, I saw a slot machine for a 1c. So, I gambled the ticket, guess what? I won for $10.03...hahaha. What a lucky day and I cash out. Then, we hit the exit.LOL! - Why are sales slow to take off? - The Secret of Unsuccess? Yeah! Notice the tag title? It kept me wondering too. Anyway, this tag was shared to me by Grace. 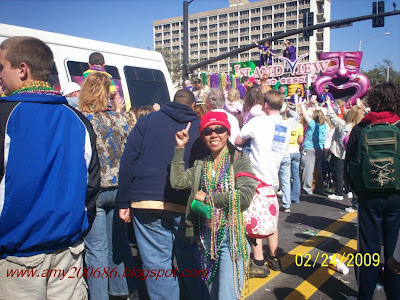 A blogger that always write about her family, her daughter specially and everyday experiences. Check her out. 1. List these rules on your blog. 2. Share 7 facts about yourself on your blog. 3. Tell 7 unspectacular quirks on yours. 4. Tag 7 people at the end of your post by leaving their names as well as links to their blogs. 5.Link the person who tagged you. 6.Leave a comment for each blogger. 1.I am a product of a broken family. 2.I have one older brother and I am the youngest. 3.I am a teacher for 12 years in a government school, teaching first, 3rd and 5th grades. 4.I am a Scouter...hehehe. I am a Kawan leader . Yep! For the Kab Scout. 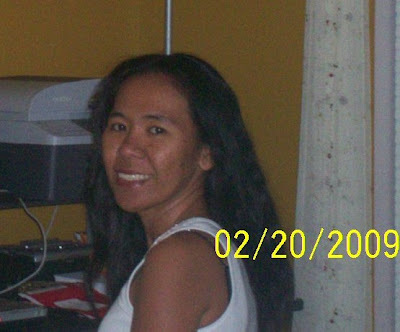 5.I am a working scholar for 5 years and work in Ateneo de Cagayan Main Library. 6.I admire Sharon Cuneta and Lea Salonga as an actress and as a person. 7. I am a Catholic and I am trying to be a good Christian everyday. 1. If I am pleased, I always say thank you and praise the person over and over again that it would somehow becomes annoying...hehehe. 2. I still watch cartoon movies alone and watch it a millionth times. 3. I don't like jackfruit . 4. I move/act/do in my own pace of time. I don't like somebody to give me orders. 5. I can't stand people who back fight other people. I can't either thrive on such kind of environment. Therefore, I have to detached myself from those people. 6. When I am angry, I usually shout on the person or shut up my mouth. 7. I love Photography and I can't leave with out a camera. Now, I am tagging Umma, Rose, Joops, Marife, Pau, Veta, AngelMist, Carmela, Dhemz, Madz, Markfel. Are you searching for a an online service that provides short term loans with no credit checks needed ? Paydayloansmania.com offers this no hassle loan and their services are available nationwide which if you apply can be completed without leaving your home. It is know to be reliable and their program offers quick solutions when you need cash instantly. Just check it out today. Payday Loan could be your life saver. If you are in need of money right now and are extremely low on cash, pay day loans can quickly help you solve your immediate financial problems. If your next payday is just too far away and you need money right now, apply online for a pay day loan. When you check this site and apply , you can be approved for payday loans just by meeting the few simple requirements. Your past or present credit is not an issue because they never even ask you about your credit history! Great? Visit the site today and may you find solutions to your financial problem. Good luck! 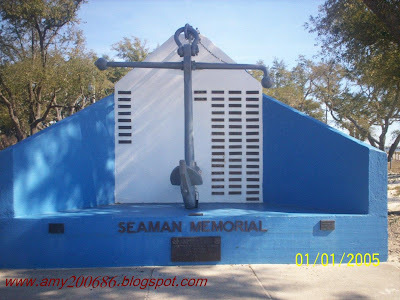 This area is located in Front Beach Drive , Ocean Springs Mississippi , "The Seaman Memorial." 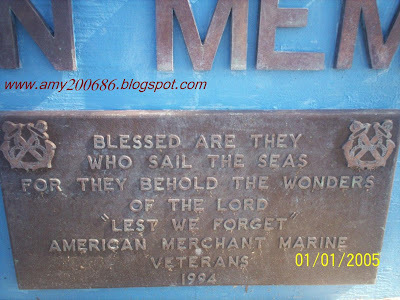 Those dark little rectangles are plaques made up of bronze with names of the people who died and lost at the Sea and/or while on duty and serving the country. As we grow older, our skin will eventually need an Anti-Aging Cream. A company which was founded in Austin, Texas offers a scientific and advanced skin care products ranging from anti-aging products, moisturizing creams, mineral makeup, cleansers and sunscreens and many more. Selected brands are recommended by leading dermatologists and beauty experts such as iS Clinical, SkinMedica, Remergent and NeoCutis. This company was founded by Dr. Gregory Nikolaidis of Westlake Dermatology &Cosmetic Surgery as a means of making the professional grade skin care products of which he recommended to his own patients. Their products are made with the finest ingredients to ensure exceptional quality skin care. Many of their products are available only through a dermatologist and cannot be purchased at a spa or department store. Dr. Nikolaidis advocates that a comprehensive skin treatment program can help combat photoaging and the onset of more serious skin conditions. Visit iDerma.com now and take a tour on their products. 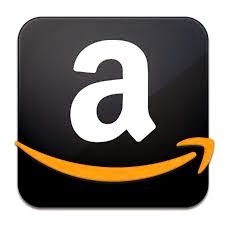 Enjoy Shopping online. 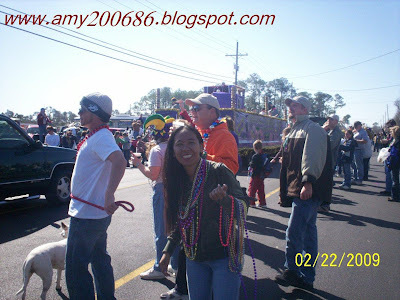 Here I am wearing all the beads I got. I should have brought a container bag coz most of the people there had one or two. I am already choking and it is heavy. 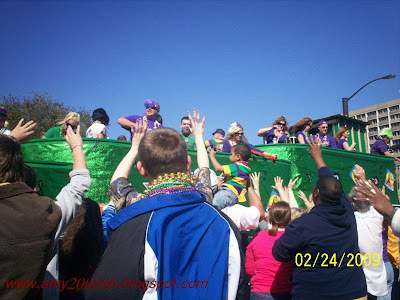 Too bad I can't get the whole pictures of the float. 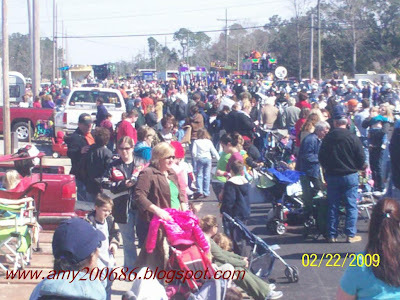 This Mardi Gras today is more crowded than last Sunday in D'Iberville. Need some extra allowance? The phoenixpaidemails.com is a company that will allow you to have an extra income. You can register for free and you can earn money immediately. You will be paid to promote pages and is open to all members. They are announcing right now a new feature called Treasure Page and Affiliate Pages. Visit the site now to get more information on how it is done. Optional upgrade to Diamond Member is always available. No sweat at all, you will get paid to click and get paid to read email ads too. You can go to the site in their Manual Surf window. The lowest payout minimum in daily is $0.50. Paid to promote 3 links is $0.8 per 1,000 Credits and up to $0.5 ptp and 5000 points. PTP points can be converted to cash or can be redeemed for ads. So, signup up now and you will get a sign up bonus instatantly. If you refer somebody, you will get a Referral Bonus of 5 cents. You will also get paid for each ad you view. These are the referral levels of commission under you: Level 1 - 5% Level 2 - 3% Level 3 - 2% Level 4 - 1% Level 5 - 1%. Goodluck! I grab this post from Cecile because I want to share my answer to these questions. Thanks Ces for sharing. 1. What's the last thing you bought? Teddy Bears for my nieces. 2. Ever called someone loser? Yes. Our funny endearment "word" with my hubby...LOL. 7. When was the last time you cried really, really hard? I can't remember. 8. What's the most interesting thing that happened to you in the past week? 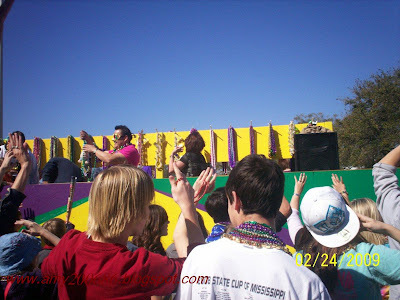 Having accomplished some legal papers and witnessing Mardi Gras in Mississippi. 9. What are you doing tomorrow? Go to the Post Office and send some legal documents. 10. The best thing about your significant other? He love's me too much....waaaa...LOL! 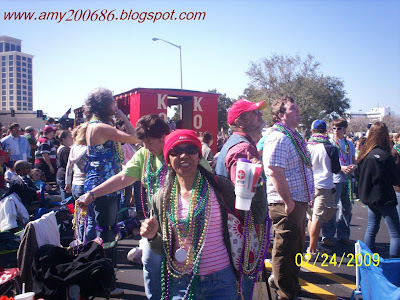 The beads started to pile up on my neck....LOL! 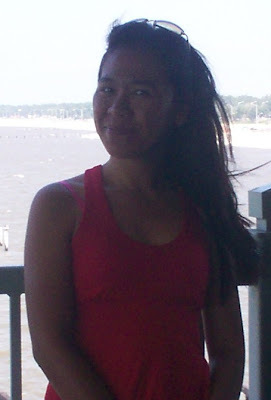 Well, I am not the only Asian in this area, a lot of Vietnamese that I mistakenly thought were Filipino and likewise. They smile at me and thought that I am a Vietnamese too. LOL! 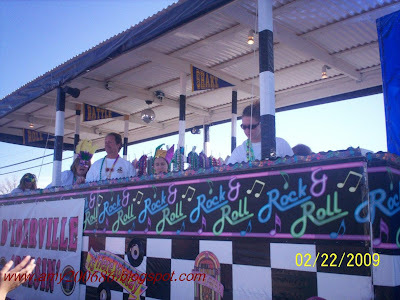 The Mardi Gras is really fun. 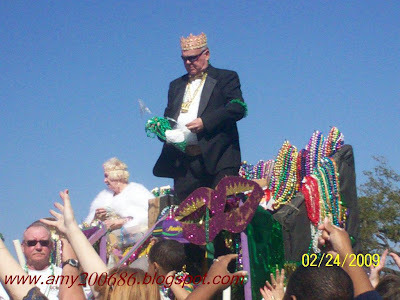 Beads are price possession and those who got the most beads and those who had unique an stylish beads deserves a WOW! Unlucky, I have so many of the common kind. I have only few that are worth a treasure. College Pro Painters is a North American student painting company that offers residential painting services during summer months in local communities. They are committed to providing student franchise managers with a world-class leadership training program and small business management experience for over 38 years now. They have painted over 250,000 homes, developed over 10,000 Franchise Managers and 100,000 Painters since 1971. They also completed charity work and community service in every US state and Canadian province where they operate. Visit the site to learn more about this company. If you are interested, you can reach them at 1-800-32-PAINT (1-800-327-2468). Since they are in the business for almost four decades, they have all the experience and a proven track record to speak about. They deliver good quality service at an affordable price and handles everything from painting and even cleaning, scraping and clean-up. Hire them and you will be in good hands. Check their site today or call them. They will provide you a schedule for your Free quote. I brought 3 coats with me because it is really cold but since we are facing the sun, it warms a little bit, i just have this one. Finally, my camera had a glimpse of me hahaha. 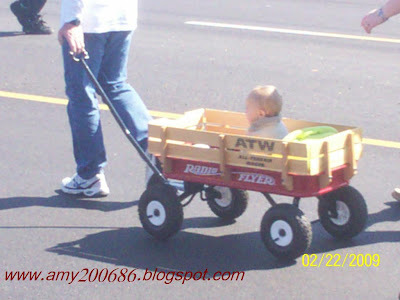 Hehhee....the baby is cute right? 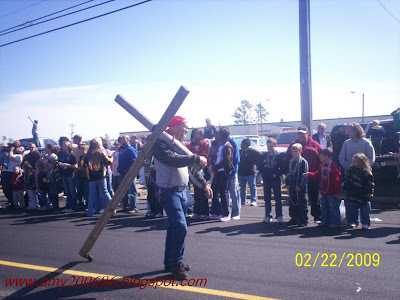 Some people were walking at the middle of the road looking for their relatives or looking for the right spot. My sis-in-law's family brought their own folding chair, food&drinks. 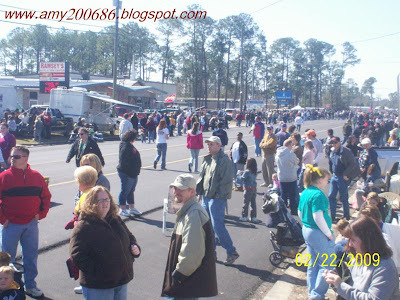 The front of where I was, not so crowded. You may ask why? Okay, if I have to choose( because I am Pinoy), I will choose a location that the sun would not see me. That area is a shady one and American's like the sun in fact, they wanted a tan skin. Pinoy otherwise, prefer the shady area, we even choose products that has whitening....LOL. That is the main reason why people are situated themselves facing the sun. Anxiously waiting but other group of people at the back of where I was, they started barbecuing and story telling .... family gathering is really visible. I love this crowd. Why? It reminds me of the Philippines. 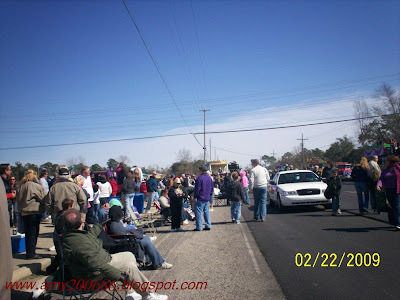 The crowd will gather almost at the middle of the road...LOL, just to be at the front line of the action. Guess, it is a human nature and it is not culture based, purely human. Anyway, these pictures tells a lot about the people living in this place. What did you noticed? I will sum it up for you. FAMILY. Yes, every time they have events to see or get involved with, their family is with them, plain and simple. Admirable quality right? The economy in the US right now is in bad shape. Job cuts, budget cuts and other strategy were taken by companies just to save them. Yet, so many of this company are still going down and employees are affected with lay-offs. With this current crisis, having no job is really a big issue in the family. If the provider will be laid-off from work, domestic problems arise rapidly. Food, medicine, house mortgage/rent, gas money, school and credit card bills soaring up high. The schedule for payment will be jeopardized. Now, if you are in this situation what will you do? You have no money to pay your bills even if you wanted to. But, if you are already drowning with debts, how about considering a debt consolidation loan. Well, this is not another loan to spend. This is just an approach to be considered to consolidate all your loans and have a new payment scheme that is affordable in your present situation. Visit the site and look for a credit counseling appointment to give you in-depth information about your other options regarding your situation. Check out careonecredit.com to know some of their services. One thing that make this site different from the rest of their competition is that they provide a message board of which you can connect with others who are having the same situation as you did. You may share your own experiences, ask for expert advice or just read about what has worked for people in similar situations. You can browse the various discussions that might be a helping tool for you. You need this kind of community to help you understand and provide you information how to cope up and get back to the way it was before or better. 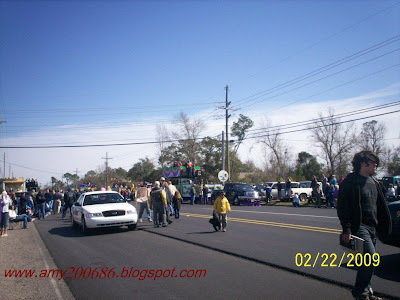 Yep, here I am once again, telling about Mardi Gras in D'Iberville another place in Mississippi. 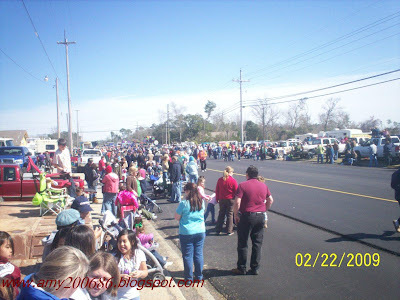 My third Mardi Gras Parade attendance. On the 24th , there will be another one. 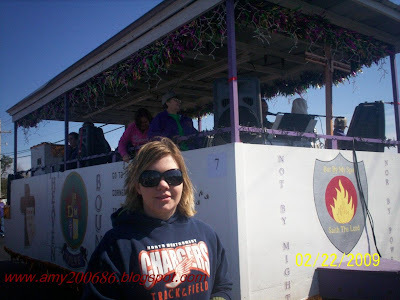 I love this Mardi Gras season here. 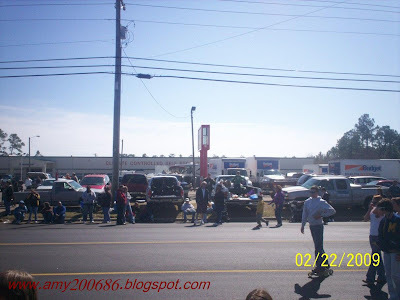 The excited crowd waited anxiously of the parade. pay attention to some of them, almost at the middle of the road .... hahaha. Each family occupy a spot they are comfortable with. See the guy wearing orange? He is wearing his priced possession beads. This looks like a fiesta. 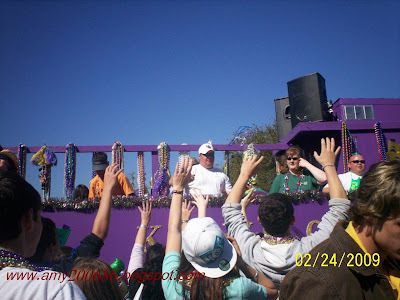 Mardi Gras is really fun. 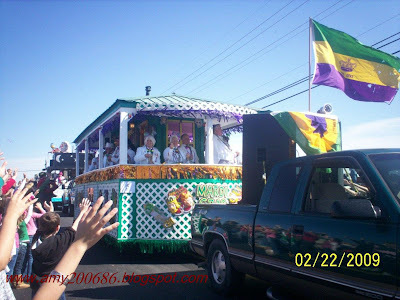 New Orleans has really awesome floats and gigantic props too. I just saw it on TV. We don't go there coz it is a bit far and my hubby doesn't like crowded palces. Say , 10 times more crowded than this. Pretty huge right? Just taking pictures of the moment. 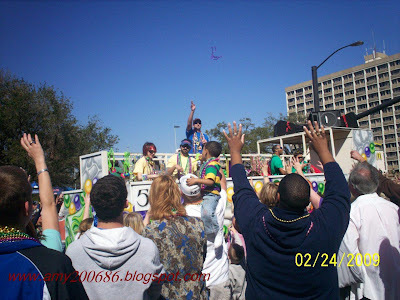 30 minutes before the parade and people are already ready to catch beads. 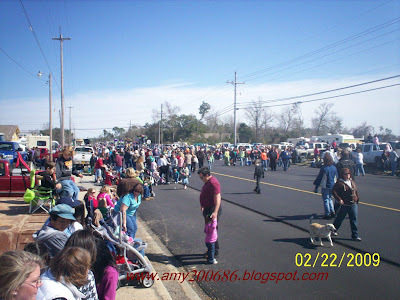 This was taken yesterday at D'Iberville, Mississippi and it has the biggest crowd that I attended so far. 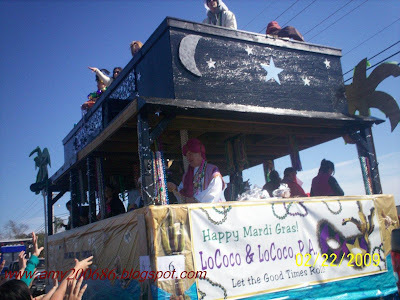 The floats were many and decorated so nicely. We are situated nearby the meeting area of the participants. 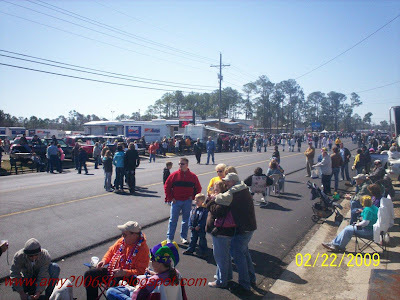 We have this strategy so that after the parade, we can go out from the area first and avoiding the traffic jam. I will make this post a two part, so enjoy the viewing of the faces of the anxious crowd and that includes us...LOL! Are you single and always online? Is your hobby horseback riding and of course you love horses? And are you tired of dating people and end up losing them? Well, sometimes we really need to do something to meet that right person halfway. Probably, they are just out there seeking for you too. Right moment is needed. But, what if you just let the time passes and wait? Nothing will really work with that, right? You need to do something, make an effort and maybe, that someone you might stumble upon along the way. Sounds like a fantasy? Guess not. Well, if you already dated those who you knew in your circle and nothing happen, try online dating. This equestrian cupid offers FREE sign-up to new members who are horse lovers. This is a dating site which is an exclusive community for horse lovers and a good site to meet horseback riding buddies. You will discover uncharted trails, pursue the country lifestyle, locate the best riding areas and meet someone to share your country pursuits and hobbies that interest you the most. Check this site now and may you find true happiness and the excitement to do the things you enjoyed the most with the person you will gonna meet here. This dating site been in the business since 2001 and many couple found their one true love through equestriancupid.com. Visit the site today and be rewarded with the joy of finding the person who give importance of the the things you love the most. Be a member and stop procrastinating. Good luck to your love life. 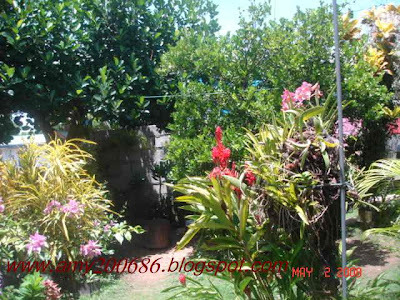 This is my very crowded garden in the Philippines. 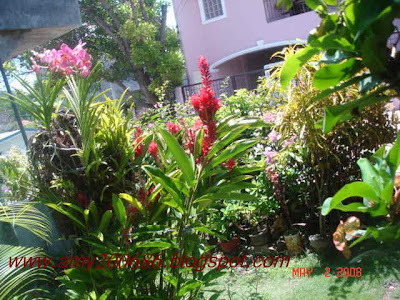 Those are blooming orchids and bougainvilla. 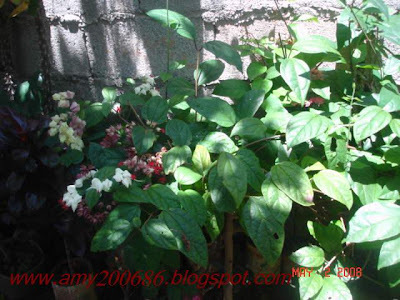 The plant which has thick leaves is a Citrus microcarpa bunge fruit or known as "Lemonsito" in local dialect. My mother just gave the fruit to those who need it. It is good for cooking and make a juice out of it. This plant belongs to a vine and has a lovely tiny flowers. I have only 3 colors white, pink and red. I still don't know the names of this. That tree at the far left end corner of my property is a Jackfruit tree. My mother said it has already bear fruit since January and it will continue up to early June. It's my mother's favorite fruit. This tree bear so much fruits and huge too. Once the fruit harvested from time to time, my mother sliced it and share it to the neighbors. So, they are really looking forward when is the next harvest Jackfruit. 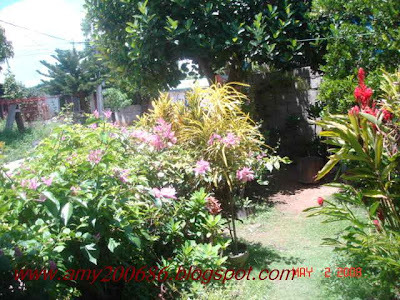 This is what my garden in the Philippines looks like. Very crowded LOL. But, I miss it so much. Every weekend, I make it a point to-re arrange the location of the flowering pots in an area which has more sun to make it more "happy". 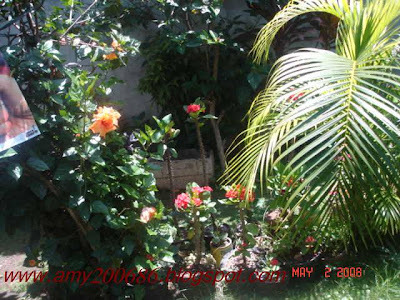 My mother and I love gardening so much even though, I can't memorize the kind of flowering plants I have in my garden, I just adore the beauty of it. 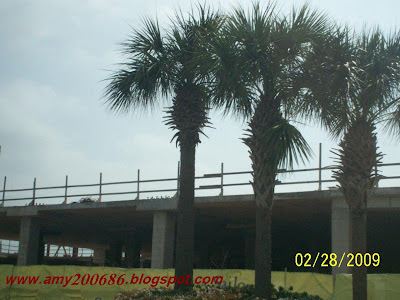 Seaworld: What To See Inside? Have You Heard About UMOO?